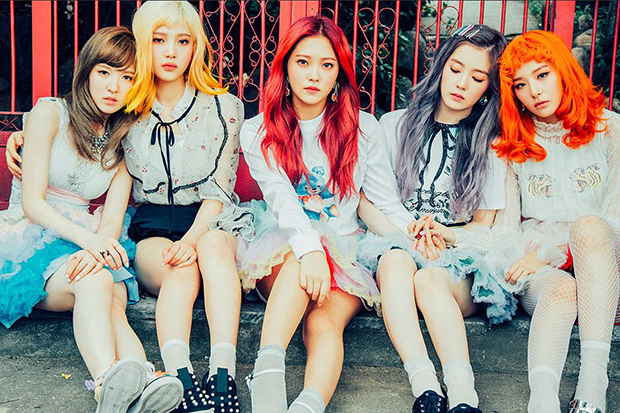 K-Pop Queens Red Velvet have been churning out quality material since launching in 2014. And the quintet has been particularly generous this year. Back in August, they unveiled their Summer Magic EP. The collection has the distinction of featuring their first all-English track, a re-recorded version of the fan-favored “Bad Boy.” Since then, glamorous group member WENDY partnered with John Legend for October’s “Written In The Stars.” The romantic collab has been streamed nearly 4 million times on Spotify. And today (November 30), the girls are back with a new mini-album. Called RBB – short for Really Bad Boy – the six-track collection features a new slew of must-hear bops. Chief amongst them is the title track, which acts as an amped-up sequel of sorts to “Bad Boy.” The banger opens the mini-album, and an all-English version closes things out. Boasting a fiercely danceable production, it is built around a sing-along chorus. “Oh my god, he’s a really bad boy,” the girls emphatically declare. You should also check out the horn-heavy stylings of “Sassy Me.” The slinky cut is probably my favorite on the collection. Also make sure not to sleep on “Butterflies” – issa bop. That’s not all though. To celebrate the occasion, Red Velvet unveiled a horror-inspired music video for “RBB (Really Bad Boy).” Boasting dramatic set pieces and incredible choreography, you don’t want to miss out. If that’s not enough for you, there’s also a subplot involving a werewolf. At the time of publishing, the video has amassed nearly 4.5 million views. It is enough to have it sitting within the Top 10 on YouTube’s trending page. Press play on the mini-album below and check out the “RBB (Really Bad Boy)” video up top! Do you stan? Let us know below, or by hitting us up on Facebook and Twitter!